Utahns have been griping for weeks, maybe even MONTHS, because of WAY below-normal temperatures and WAY above-normal rainfall. At the slightest ray of sunshine, we run out to play or work in the yard – so thrilled to feel even the tiniest bit of warmth on our faces. I love this representation of spring in Utah: snow in the mountains, trees in bloom, and trees struggling to bud. Yesterday – while waiting for the Rapture – I, too, rushed lumbered to the front yard to pull up spent tulips and to plant pale pink petunias and lavender creeping flox. It was the perfect time to weed and plant because the soil had been softened by so much moisture. 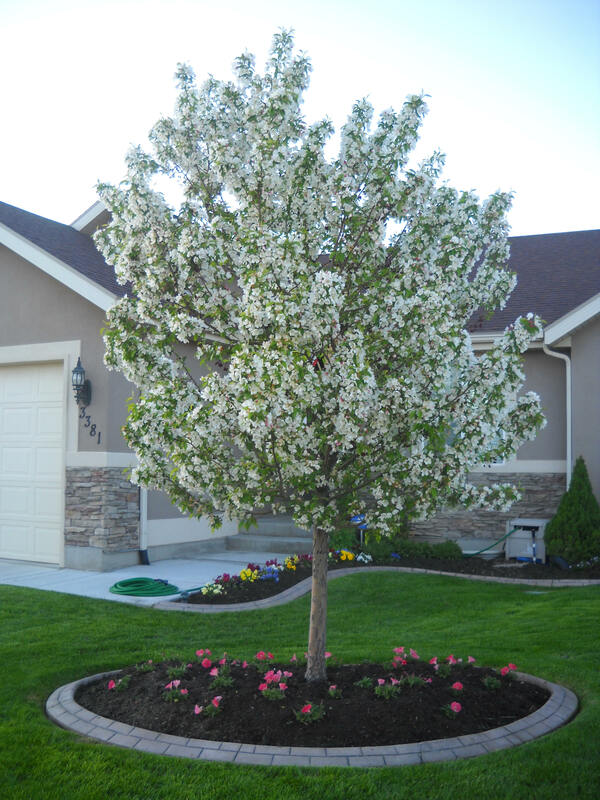 Our flowering crab apple tree surrounded by pink petunias worshiping at its feet/roots??? Pansies peeking from the background may last the entire summer if temperatures stay this cool! Because of the other “bucket-list” plans on the day to end all days, I didn’t have much time to bask in the handiwork of my gardening. But after lunch with Mom and Connie B, and after attending the wonderful heart-warming play at the Hale Theatre, I drove up to my yard with a greater appreciation for all that was blooming! "In the leafy tree tops the blossoms are blooming!" 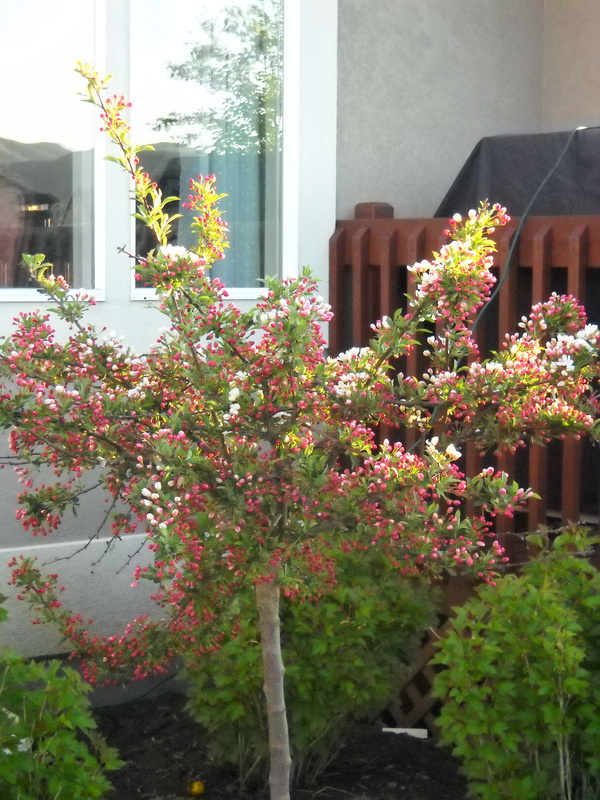 This is my favorite tree in bloom is this little Japanese flowering tree – whose full name I can’t remember. Grrrrr. 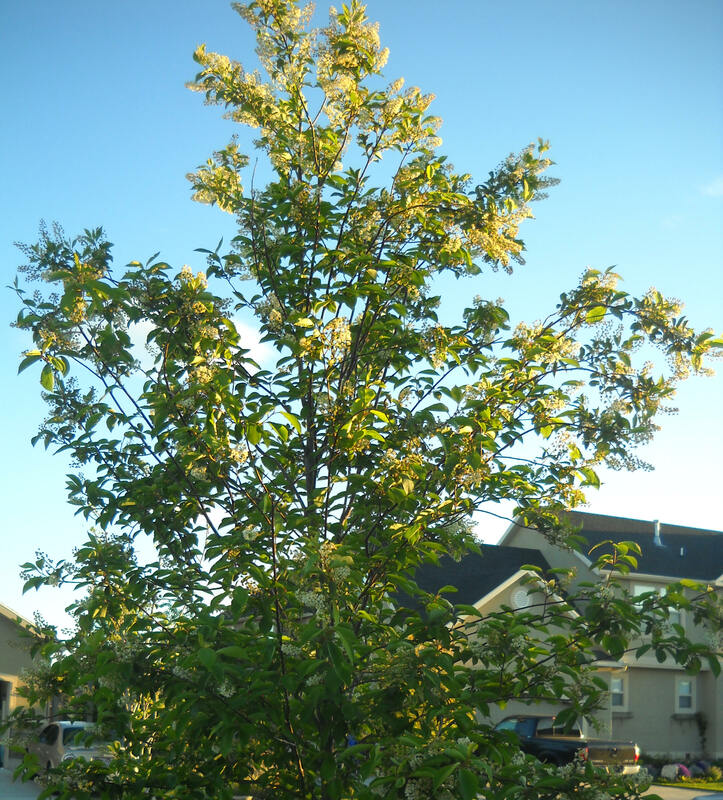 It is also the tree-of-choice for our little yellow-feathered friend. He finds something yummy to eat among the branches and blossoms. I hope he returns to dine soon. It amazes me that this delicate little tree survives and thrives - showing up bigger and heartier looking kin. Not all that long ago snow covered our young snowball bushes. Soon the little green blossoms will burst into big puffs of white! I wish I had the memory to remember the names of everything I plant, but I don’t. 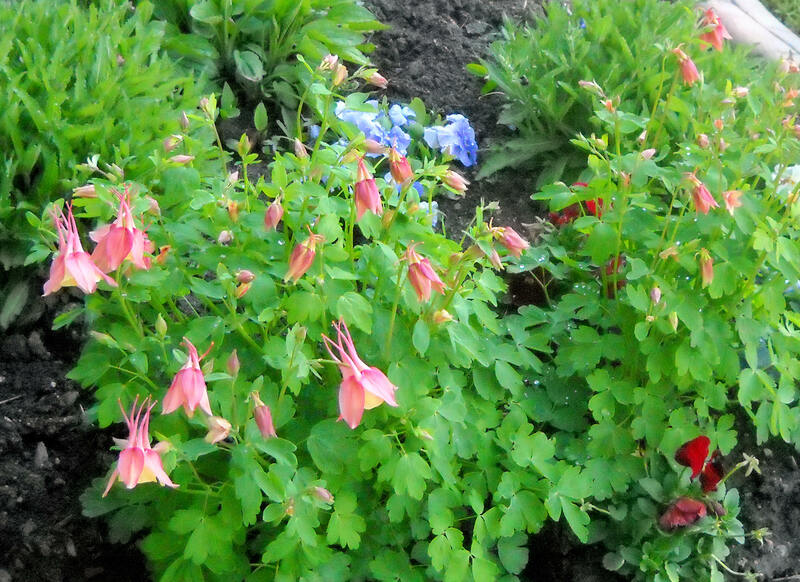 If any readers can tell me what this pretty pink flowering perennial is, I will be ever so grateful. The plant reminds me of bleeding hearts, but those don't thrive out here on the western desert like this nameless beauty does. While this montage may bore many, I am thankful I took these pictures and posted them because a rather nasty thunder storm – complete with HAIL – descended upon my lovelies and stripped some of their beautiful blossoms. The remnants lie scattered upon the green lawn much like strands of hair piles up on the floor at the barber shop. Categories: ... my blogging life ..., ... my love life ..., ... picturing life ... | Tags: Canadian Reds, Flowering Crab Apple tree, NaBloPoMo, Petunias and Pansies, postaweek2011, Rocky Mountains, Snowball Bush | Permalink. Tonight G.E., his brother, and I started our weekend early by going to the cinema to see that critically acclaimed movie THE GOD OF THUNDER: THOR! Like most blockbusters these days, it is based upon a comic book/graphic novel. (HoHum) I have to admit it WAS entertaining, but one Marvel Studio movie a year fulfills my need for super heroes. 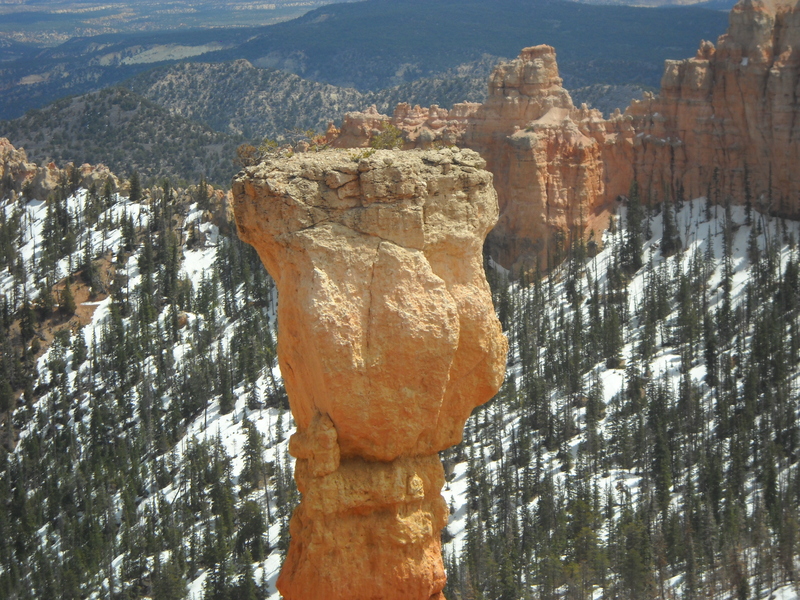 While watching cities crumble, muscles ripple, and women crumple, I thought about that hammer of his and wondered how it ended up in Bryce Canyon. While visiting the hoo doos over spring break, I watched for the signature rock formation and was thrilled when I spotted it – or so I thought. After arriving home from our night out, I searched for the photo and then compared it to pictures I found online. 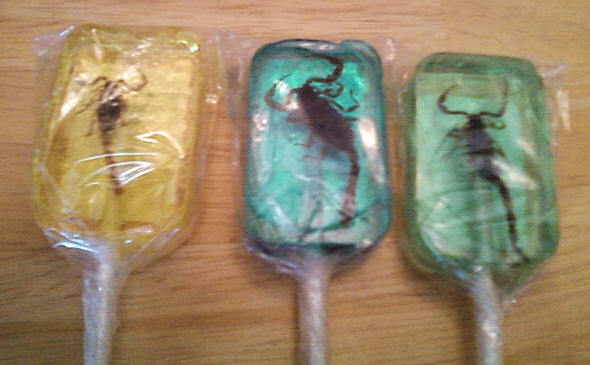 Check them out and tell me what you think. 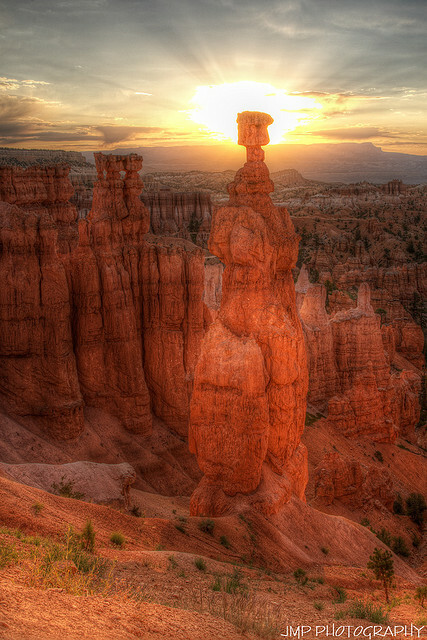 Thor's Hammer was NOT cast down to NEW MEXICO but rather Odin zapped it off to Bryce Canyon as evidenced by this Flickr photo! 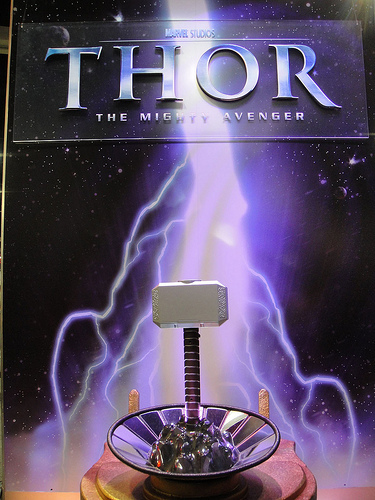 I shot this picture, but I think it's Thor's CLUB. Sigh. Will the REAL hammer please stand up. Oh, all ARE standing up. Pardon me. I may NOT have found the actual hammer, but I did snag a SuperHero! Awwwwwww! G.E. snapped this photo of us. What a backdrop!!! 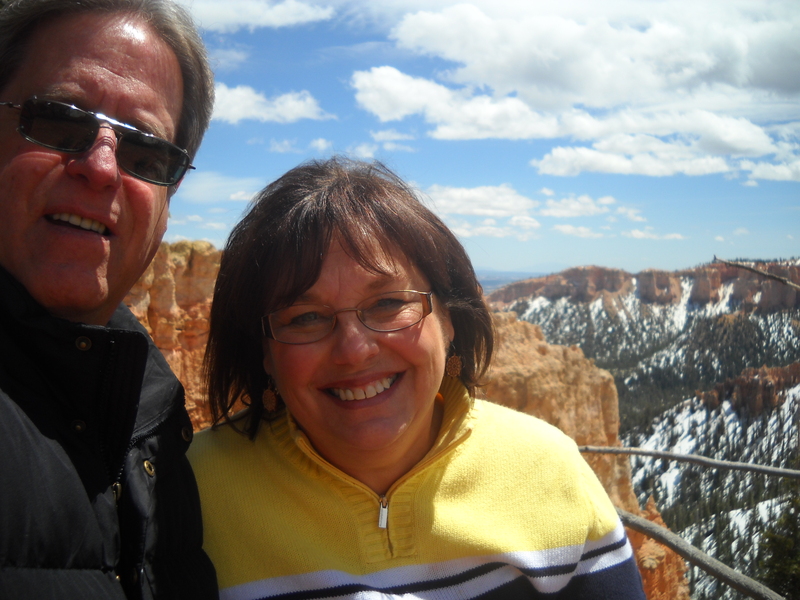 Categories: ... my blogging life ..., ... picturing life ... | Tags: Bryce Canyon, Hoodoo, Marvel Comics, Marvel Productions, NaBloPoMo, postaweek2011, Super Heroes, Thor's Hammer | Permalink. I announced before that I live in the western desert – of course with all the rain we’ve received this year that may change to the western JUNGLE!!!! My gosh, will this drizzle EVER dry up? Rainbows are God’s promise that He will NOT flood the earth again, but it hasn’t cleared enough to even SEE a rainbow. Does that mean the promise is null and void? ANYWAY, in spite of rain, cold, wind, AND a little snow, some brave birdies have migrated north – obviously they don’t check the weather channel. This evening we saw the MOST adorable tiny bird I have ever seen. It was eating something off our flowering Japanese flower tree – redundancy in wording, I know, but I can’t recall the tree’s name. Pretty little thing though. Perfect for a pretty little bird. While I can recognize a robin, starling, seagull, etc., I had NO clue, and so I Googled a description of the small fry and found out he is an ORANGE-CROWNED WARBLER. I saw NO crown, but read that one rarely does see any orange on top of their bitsy heads or anywhere else on their little bodies for that matter. I scanned through several online images to find one that looked like CutiePie until I found this one. It must be his twin for he looked just like this guy. Adorable, right? I’ll keep watching for him and will have my camera handy next time. I also hope to catch sight of Robinilla – the biggest, fattest robin I have ever seen. I wonder if there is a worm left in the neighborhood with that chunk around! 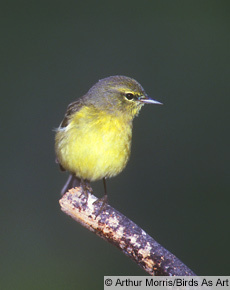 And have you ever noticed how yellow their bills are? Yes, I’m getting old if I care this much about our feathered friends. No, I’m not desperate for blog topics, but I don’t have time to write about how I’m going over the edge. That has to wait until the weekend when I have time to list all my signs of madness. Categories: ... my blogging life ..., ... picturing life ... | Tags: bird watching, NaBloPoMo, Orange crowned warblers, postaweek2011 | Permalink. I have a long-time blogging friend who spent part of the winter in India, her hubby’s birthplace. Well, she came back and posted all these VERY cool photos, including this fascinating picture of a VERY unusual plant. Isn’t it amazing? 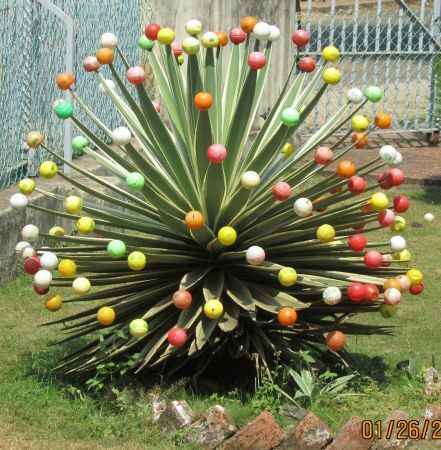 I actually thought some children had a lovely time sticking colorful rubber balls on the ends of pointed leaves, but it really grows like this and has that fun name: Pingo-ballo agave bush. I LOVE IT. I think it deserves a page in a book by Dr. Suess, don’t you? 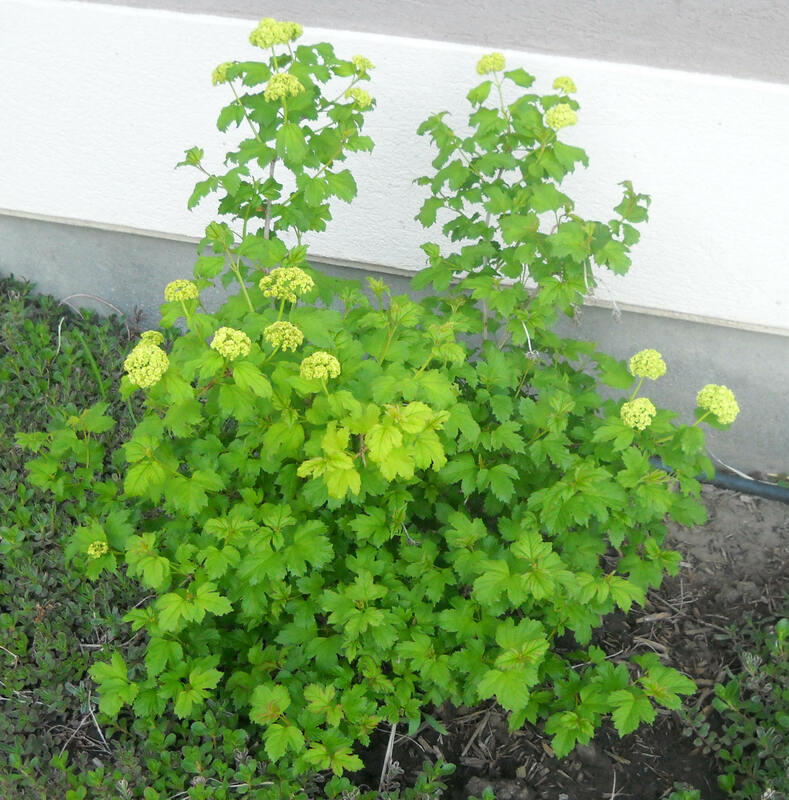 Not to be out-done by Ms. Alice, I took a trip around my house where I spent ALL of the winter and stumbled upon a very interesting plant as well. Unfortunately, the picture I took of it has yet to arrive in my email box. Sorry, but you will have to return in the morning to see what I found. Nighty Night. Categories: ... my CRAZY life ..., ... picturing life ... | Tags: Dr. Suess, NaBloPoMo, Pingo-ballo agave bush, postaweek2011, Strange Plants | Permalink. A left-handed (or back-handed) compliment is an insult concealed in an apparent compliment and thus is the reverse of a real compliment, as left is the reverse of right. The left side has long been associated with wrongness. Aside from all of the Christian superstitions about “sinister” left-handed” people, there are other reasons for apprehensions about offerings from one’s left hand. In many areas of what is called “the developing world”, where people eat without utensils, they use only their right hands, since they use their left hands for “toilet-related” functions. Apparently, it is still a tradition in some areas. Well, that last paragraph is rather gross, but I remember hearing that explanation as a reason why we don’t shake left hands. With the “wash-your-hands”campaign blitz going on in rest rooms across the nation, I hope this isn’t an issue anymore. But back to the topic at hand. I LOVE to give and receive compliments because they cheer up people. It’s when we base our self esteem upon receiving or not receiving plaudits that praise becomes problematic for the hearer. But what about those times when the giver’s motivation includes an additional message that might not be so kind? What EXACTLY are those statements? And how do we pick up on those implications? More importantly, how do we feel about them? Sometimes we want to give our friend or family member some “helpful” advice, but we don’t want to hurt their feelings. We think embedding the suggestion in some sort of “compliment” will soften the words. But that rarely works. Our dear ones can usually see right through the ploys, and the whole idea blows up in our faces. There are also times when we’ve experienced a misunderstanding with someone in our lives, and we may be working through the disagreement. We want to improve the situation, and so we make an effort to be kinder and to share our appreciation through sincere compliments. Because of the hurt feelings, our friend or family member may be suspicious of our comments, but I think we can show our sincerity by sharing heart-felt thoughts. Picking up on the intended meaning: We sometimes decide a person is actually slamming us with a disguised compliment by the “way” he or she says it. If the tone seems a little too saccharine or condescending, we become suspect, especially if a false smile accompanies the statement. Body language, as well as facial expressions, often tells us the giver is insincere, too. If the body seems tense, we assume that anger or even jealousy lies behind the words. The preciseness of the language might suggest the individual has long thought about what to say and how to say it, and has just been waiting for the right opportunity to pounce. What about those times when the comment is obviously backhanded, but no other “signals” accompany the words. Then, I think, the person has NOT thought about what he or she is going to say or how it will sound. They just spit out their opinion not realizing that it might come across as insulting. Should we become offended in such circumstances? Probably not. It goes back to how well we know that person. Are they ALWAYS saying things like that? Do you have a history of not getting along with said person? Because of that history, are these asteisms subconscious attacks upon us? In reality, I DON’T think so. These people are just a little oblivious. Or maybe a lot oblivious. How to react to backhanded compliments: Can’t we just laugh them off most of the time? Naive as I might be, I believe most people are not so conniving as to work on ripping on people in this way. After all, it takes a clever person to come up with a clever backhanded compliment on the spur of the moment. That’s why most of the examples I shared are pretty cliche’. When we know the person well, we sometimes joke about the compliment – “I guess I look pretty shabby most days then.” And our colleague, friend, mother, sister usually blushes and says, “Oh, I didn’t mean it that way,” and they really didn’t. Friend: What is different? You got your hair cut. (I had.) But there’s something else. Is your hair lighter? Me: Yes, sort of. I got highlights put it in. Friend: That’s it!!! I like it!!! It’s so much softer. Me (thinking to myself): So you think the brunette color made me look like a hardened old woman? To wrap up this text that grew and grew in length, I don’t want anyone to become paranoid about sharing compliments. It is a wonderful thing to do. If you see something you like, say so. That person will usually (like 99% of the time) LOVE it and will not take offense to how it was offered. I really don’t think we tell each other enough how much we enjoy her company or how inspiring he is to to us or how lovely she is. Such sentiments can brighten moods and make our little worlds better places, don’t you think? I’d love to hear your thoughts on this subject. Categories: ... my blogging life ..., ... my CRAZY life ..., ... my writing life ... | Tags: Asteim, Back-handed compliments, Left-handed compliments, NaBloPoMo, postaweek2011, The Phrase Finder | Permalink.